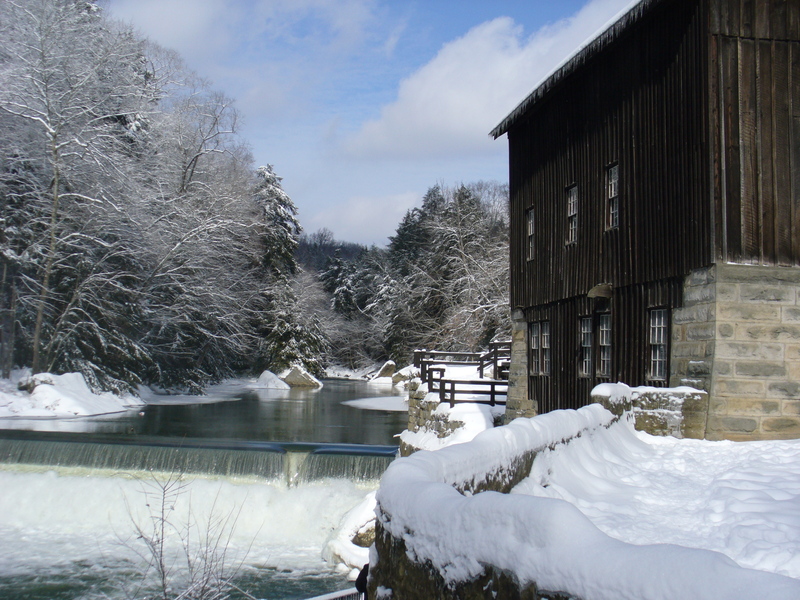 McConnell’s Mill | Where have the days gone? Amazingly, the sun put in a brief appearance, and the hike downstream along the Kildoo Trail warmed us up despite the temperature hovering around 10. By the time we hiked back up the hill to the parking lot, we were well-heated. I would say there's at least a foot of snow in the undisturbed places. We tried to see how carefully we could walk and stay on top of the icy layer that was about 3" down, but I could only get a few steps before breaking through into snow almost to my knees. 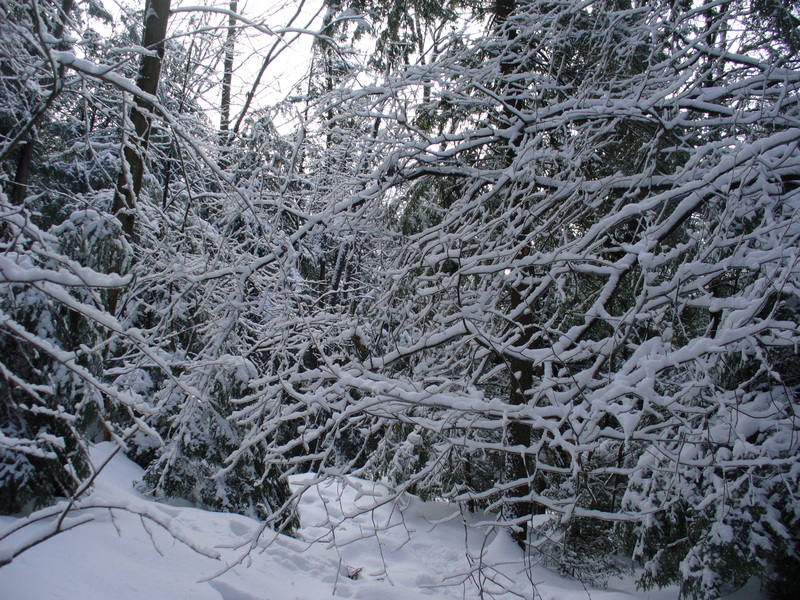 In a lot of places the snow was still sticking to every tiny branch, thanks to the freezing rain from Wednesday. Majestic! 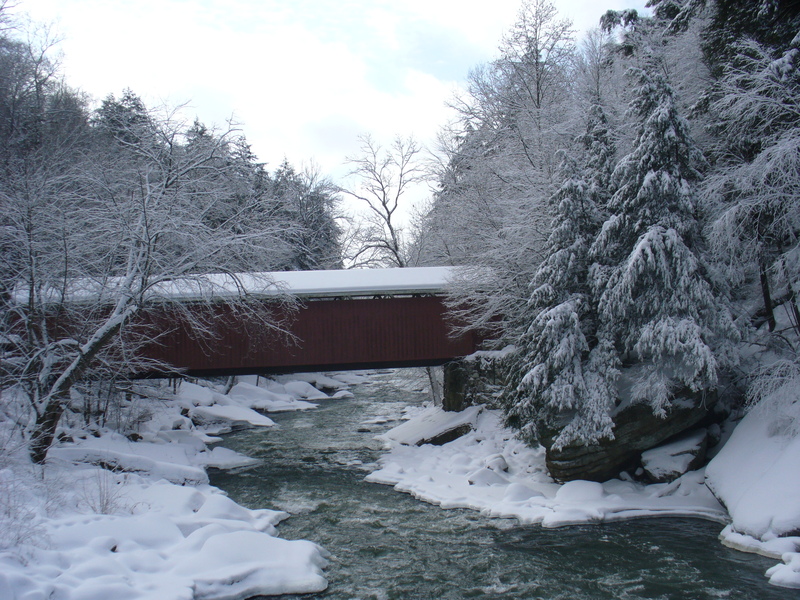 Covered bridges are so romantic. 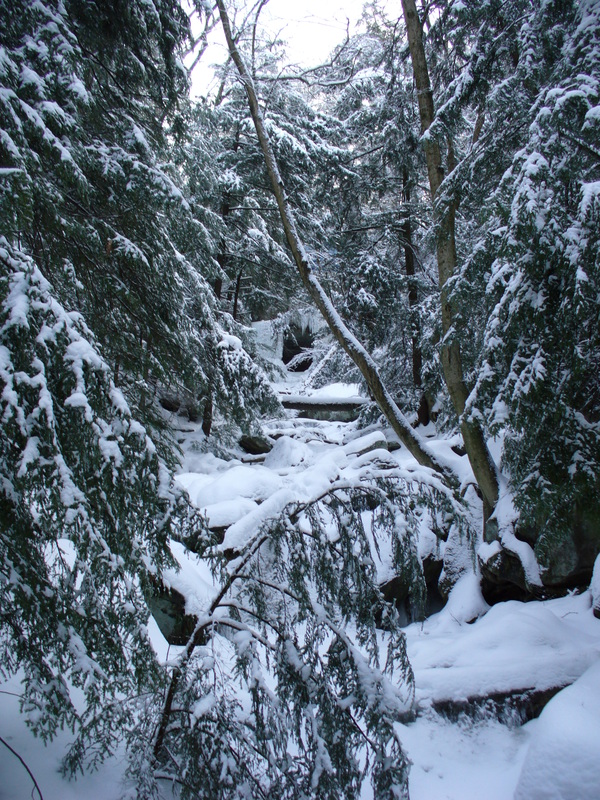 Love the ice-covered conifers, you were tough to brave the cold, and it looked worth it! The snow was just so pretty, I thought this would be a much more enjoyable workout today than the treadmill in the basement… hubby agreed. Those pictures took my breath away.